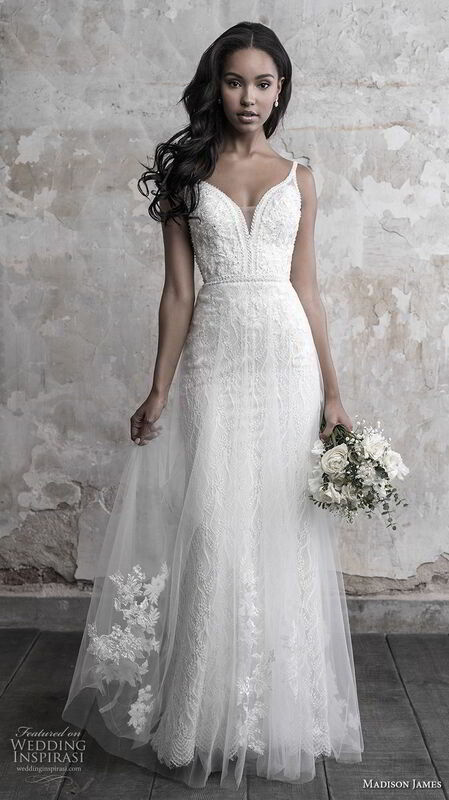 2018 has been yet another wonderful year filled with incredible wedding gowns, and now that we’re just literally days away from 2019, it’s tradition here at Wedding Inspirasi to wrap up the year by taking a look back at some of the most memorable and well-loved wedding dresses feature of the past 12 months. Yup, the most liked, loved, pinned, shared and reposted gowns of 2018 are all here. 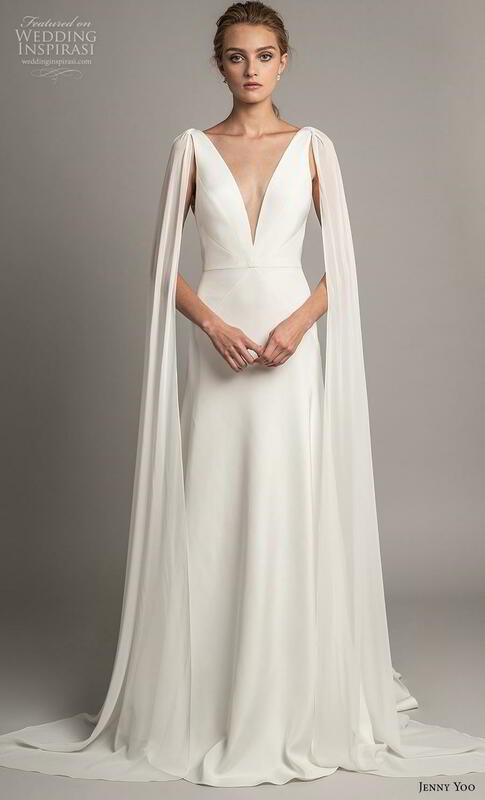 In this second part, we have sheaths, mermaids, columns, fit and flares, and gowns with overskirts popular in 2018. 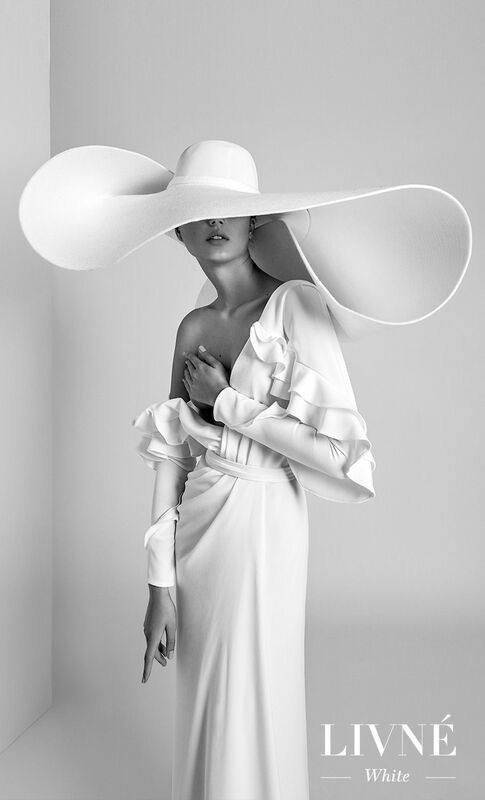 With styles ranging from the glamorously elegant, to the romantic bohemian chic and the fashion forward and minimalist, this exquisite selection of wedding dresses is set to inspire brides in 2019 and beyond. 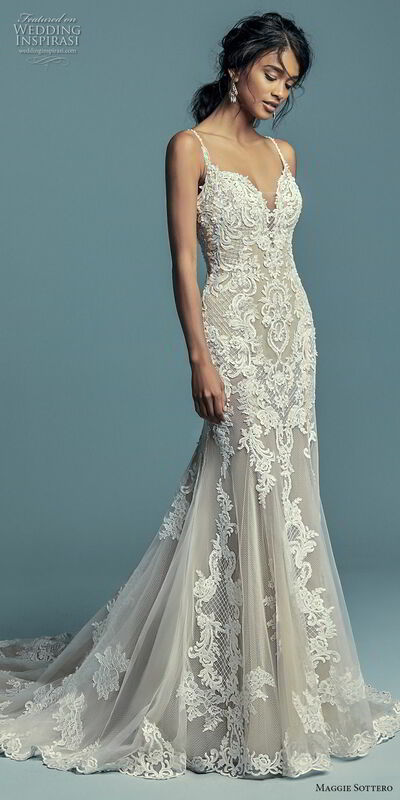 This is the second part in the series of 100 popular wedding dresses of 2018. Click here to view part 1.